Year 1 began the assembly by singing a song. 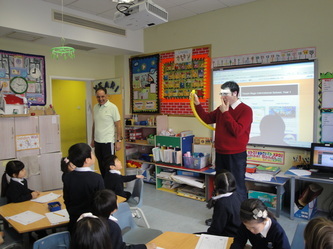 It was a song that they learned in Chinese class, taught by Miss Helen Bai. They all looked wonderful in their Chinese and Korean clothes, and sang beautifully! 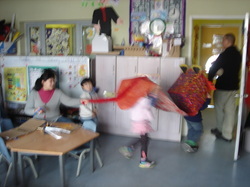 The rest of the Chinese New Year Assembly was fun too! On Monday the 31st of January, Miss Carpenter made Chinese dumplings. Many of the Year 1 children enjoyed them. Some of them ate ten! 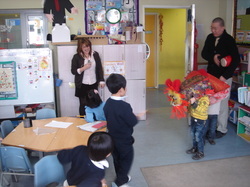 Later the same day, the nursery class visited us to show us their Lion Dance. 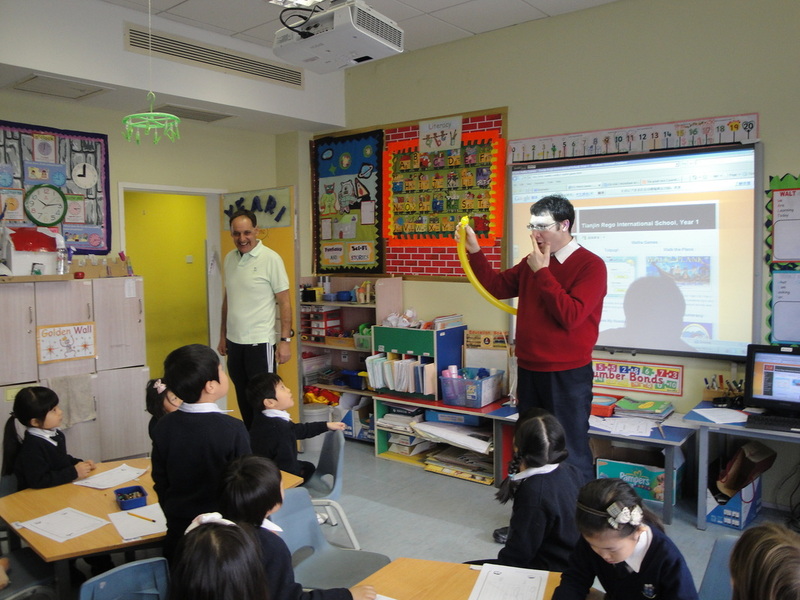 Thank you to all the parents who came in to see the Chinese New Year Activities! 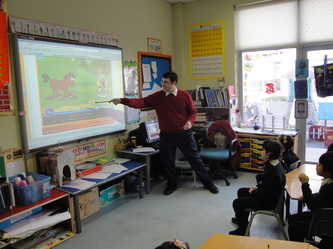 The children made paper lanterns with Mr. McKenzie; they learned the story of the Chinese Zodiac - The Great Race - and learned how to make a balloon rabbit with Mr. Kohll; and they made model dragons with Miss Stannard.